New at Your Library: Flipster! Now available to Pickerington Public Library cardholders: Flipster! 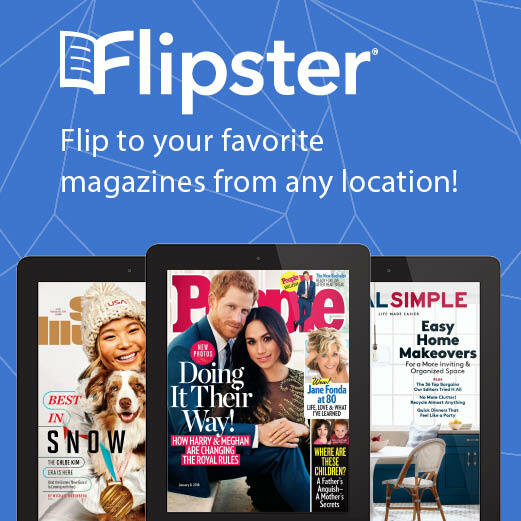 Flipster is a digital magazine subscription service that replaces our previous magazine service, RBDigital. 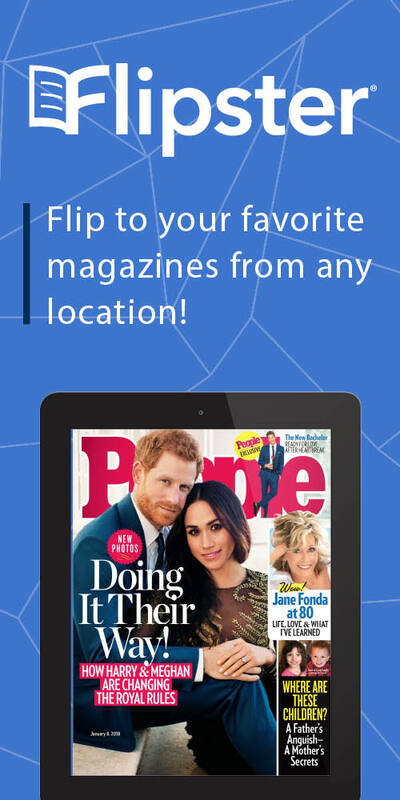 You can use Flipster to access your favorite magazines online, or on your mobile device, using your Pickerington Library card. From your home computer: Click on this link to access Flipster. If you are visiting Flipster from within a Pickerington library location, you will not need to enter your library card number. If you are accessing Flipster from your home computer or your mobile device, please have your library card number ready to enter! You will be prompted to enter your library card number at the link. Once you are logged in, you are ready to start browsing! 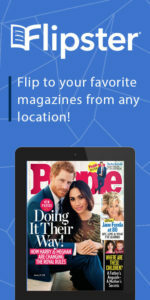 You can browse Flipster’s magazine selection by category, by title, or by searching titles or keywords. Once you have selected a magazine, click or tap on the magazine’s cover image. In your browser, the magazine will load in a new page instantly. From your mobile device, you will then tap the “download” button, followed by the “read” button, and you are ready to enjoy your magazine. Magazines on Flipster have finite loan periods: weekly issues have loan periods of two (2) days, while other magazine check out for seven (7) days, and others may have indefinite loan periods, depending on their publishers’ terms. In your app, the loan period for each magazine is visible from “My Shelf,” located at the bottom of your screen: you will see the loan period under the image of each magazine. When the loan for these magazines expires, you will need to delete the title from your device. You can also access the back issues of magazines that you are reading or have checked out, for as long as the publisher makes them available. There are no waiting periods on Flipster titles: if you have not finished reading a magazine during its loan period, simply check out that magazine again! There are also no limits on the number of magazines you can check out. If you have questions about using Flipster, contact library staff for assistance, or bring in your mobile device to any location!